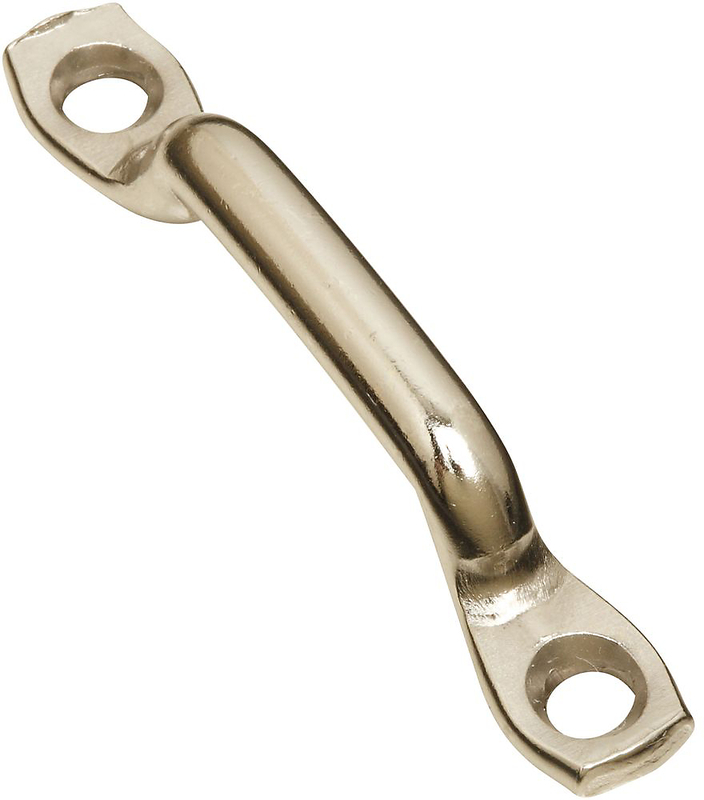 QUICK LINK Zinc plated finish Packed loose with tag I D Size = opening width x length Do not exceed working load limit Do not use for overhead lifting, to support- human weight, for playground or athletic- equipment or as a safety device Do not use if visibly worn or distorted T7645126V 1/4X2-1/4 QUICK LINK SIZE:1/4 x 2-1/4" LOAD LIMIT:880 Lb. 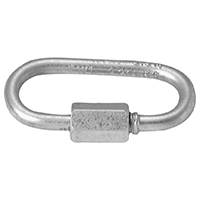 3152BC SERIES LAP LINKS Designed for joining two lengths of chain - together or accessories to a chain Link can be closed with a hammer or vise Link must be completely closed to perform - at rated capacity - inspect frequently Do no use for overhead lifting, support of- human weight, athletic or playground equipment When safety is involved, consult manufacturer 3152BC 1/8 IN. 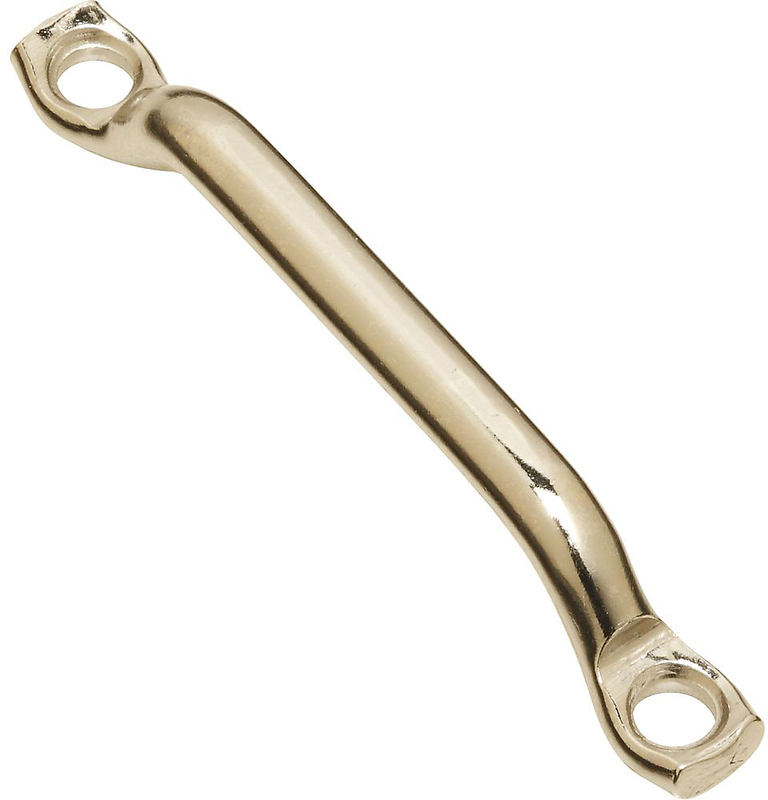 ZP LAP LINK SIZE:1/8" LOAD LIMIT:120 Lb. 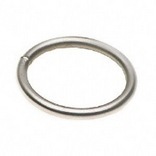 STEEL RINGS Zinc plated steel rings Boxed loose Do not use for overhead lifting, support of- human weight-athletic or playground equipment When safety is involved, consult manufacturer Inspect frequently 3155BC ZP #7 X 1 IN. 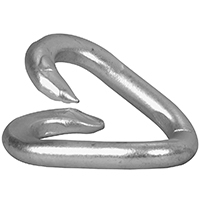 RING SIZE:#7 x 1"
ALUMINUM SLEEVE Used to wedge together wire rope 1/8 IN. 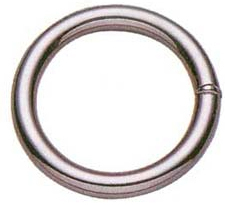 ALUMINUM SLEEVE SIZE:1/8"
STEEL RINGS Zinc plated steel rings Boxed loose Do not use for overhead lifting, support of- human weight-athletic or playground equipment When safety is involved, consult manufacturer Inspect frequently 3155BC ZP #3 X 1-1/2 IN. 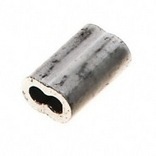 RING SIZE:#3 x 1-1/2"
ALUMINUM SLEEVE Used to wedge together wire rope 3/16 IN. ALUMINUM SLEEVE SIZE:3/16"
QUICK LINK Zinc plated finish Packed loose with tag I D Size = opening width x length Do not exceed working load limit Do not use for overhead lifting, to support- human weight, for playground or athletic- equipment or as a safety device Do not use if visibly worn or distorted T7645106V 1/8 IN. 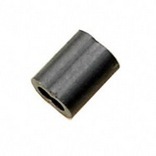 QUICK LINK SIZE:1/8 x 1-3/8" LOAD LIMIT:220 lb. 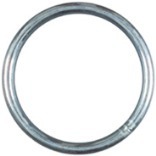 STEEL RINGS Zinc plated steel rings Boxed loose Do not use for overhead lifting, support of- human weight-athletic or playground equipment When safety is involved, consult manufacturer Inspect frequently 3155BC ZP #4 X 1-1/4 IN. 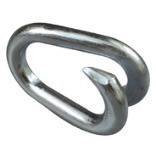 RING SIZE:#4 x 1-1/4"
QUICK LINK Zinc plated finish Packed loose with tag I D Size = opening width x length Do not exceed working load limit Do not use for overhead lifting, to support- human weight, for playground or athletic- equipment or as a safety device Do not use if visibly worn or distorted T7645146V 3/8 IN. 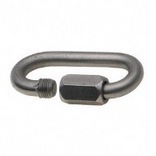 QUICK LINK SIZE:3/8 x 3-3/16" LOAD LIMIT:2,200 Lb. 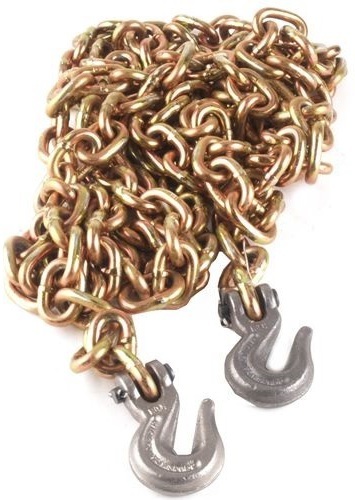 QUICK LINK Zinc plated finish Packed loose with tag I D Size = opening width x length Do not exceed working load limit Do not use for overhead lifting, to support- human weight, for playground or athletic- equipment or as a safety device Do not use if visibly worn or distorted T7645136V 5/16 IN. 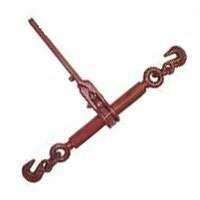 QUICK LINK SIZE:5/16 x 2-15/16" LOAD LIMIT:1,760 Lb.